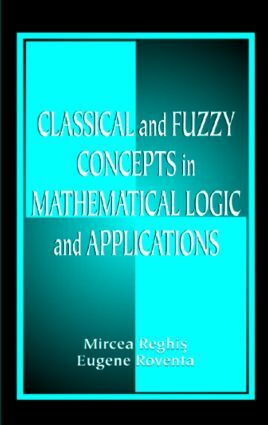 Classical and Fuzzy Concepts in Mathematical Logic and Applications provides a broad, thorough coverage of the fundamentals of two-valued logic, multivalued logic, and fuzzy logic. Exploring the parallels between classical and fuzzy mathematical logic, the book examines the use of logic in computer science, addresses questions in automatic deduction, and describes efficient computer implementation of proof techniques. The authors consider that the teaching of logic for computer science is biased by the absence of motivations, comments, relevant and convincing examples, graphic aids, and the use of color to distinguish language and metalanguage. Classical and Fuzzy Concepts in Mathematical Logic and Applications discusses how the presence of these facts trigger a stirring, decisive insight into the understanding process. This view shapes this work, reflecting the authors' subjective balance between the scientific and pedagogic components of the textbook. Usually, problems in logic lack relevance, creating a gap between classroom learning and applications to real-life problems. The book includes a variety of application-oriented problems at the end of almost every section, including programming problems in PROLOG III. With the possibility of carrying out proofs with PROLOG III and other software packages, readers will gain a first-hand experience and thus a deeper understanding of the idea of formal proof. "This textbook is useful for students at the advanced undergraduate level in mathematics, computer science and engineering; it could be helpful for university teachers, engineers and any person interested in learning and applying logical concepts."